I was fortunate enough to acquire this generator last fall. It was new in 1969 and has unknown hours on it, but it appears in decent shape. 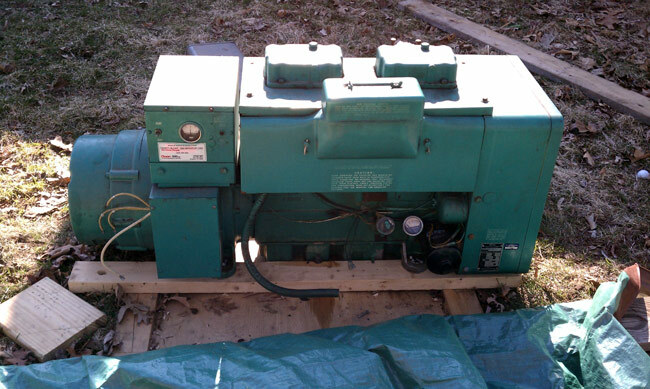 I am going to do a level two overhaul and install it as backup power for my house/shop. The first order of business is a complete inspection. 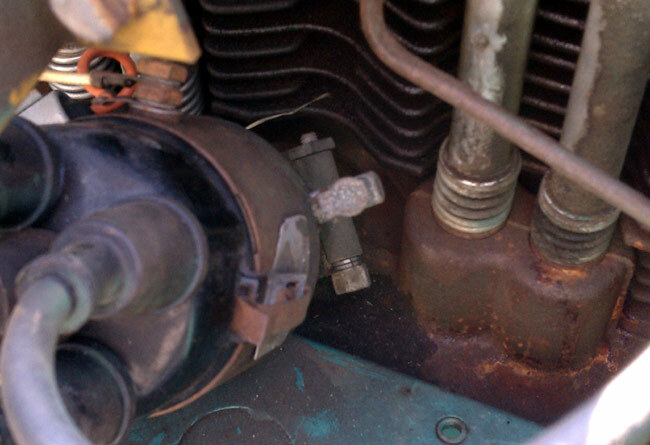 I discovered a few problems; the starter didn’t crank, the distributor was loose, and the carburetor had some burned out chunk of metal attached to it. First, the starter: These units use a Prestolite MEO3006 starter, which is common to several Chrysler products from the late ’60s and early ’70s. This is obviously a replacement unit, as it is not “Onan Green.” When I hooked a battery up and tried to turn the motor over, the start relay clicked but nothing else happened. 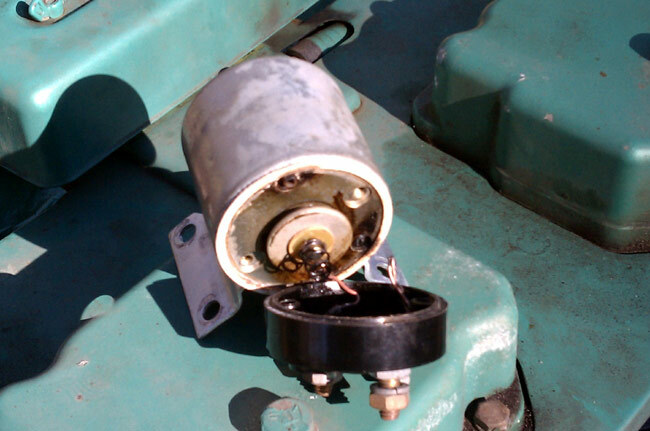 I dismounted the starter and removed the starter solenoid. 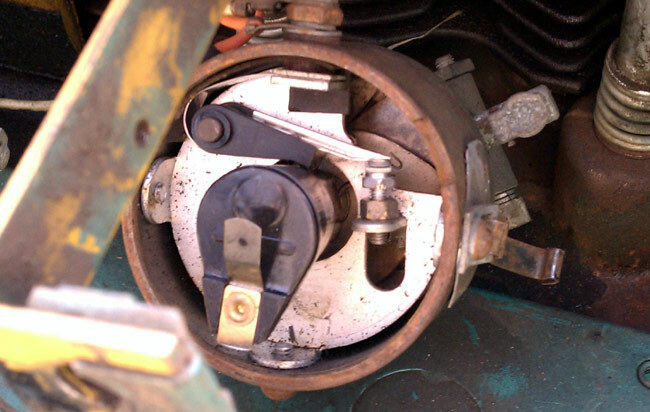 The interior of the starter motor looked in good condition, which points the solenoid. Sure enough, I removed the back of that unit and found two wires burned through and a large blackened area. While I had the starter off, I hooked it up to a 12 volt battery and it worked fine. A new starter costs $469.00, a new solenoid cost $59.00. I opted for the solenoid. The next thing is the distributor. I was checking the points and contemplating replacing the breaker points with an electronic ignition when I discovered the distributor could turn 1/8 of a turn in each direction, as when making timing adjustments. I used a 3/8 box wrench and tighten up the clamp holding the distributor shaft. It took several turns and makes me wonder why it was loose. I will have to check the timing with a light once I get it running. This also could be why the generator was not running when we took it out of service. As for the points, they look brand new, as does the rotor and distributor cap. 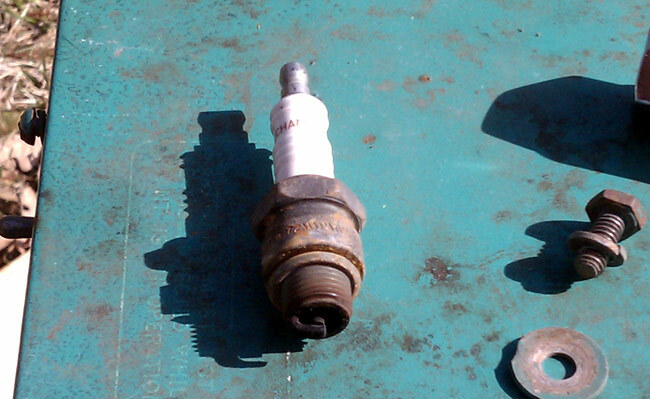 The spark plugs look well used and the plug wires look original. *Condenser and breaker points can be substituted for electronic ignition kit, either Onan 166-0825 or Pertronics 1545 with Pertronics PRX 405011 coil. ***Champion RH8C plugs should be used with replacement wires without noise suppression plug boots. This is for an Onan 12JC generator circa 1969 with a Studebaker engine. Other models/years may vary. The other issue with this unit is there is no supervisory monitoring and control. There is no oil pressure loss, overheat or overcrank faults. This is why the starter solenoid failed. To remedy that situation, I started to design a better control circuit. Then I looked around on the inner tubes and found somebody had already done this. 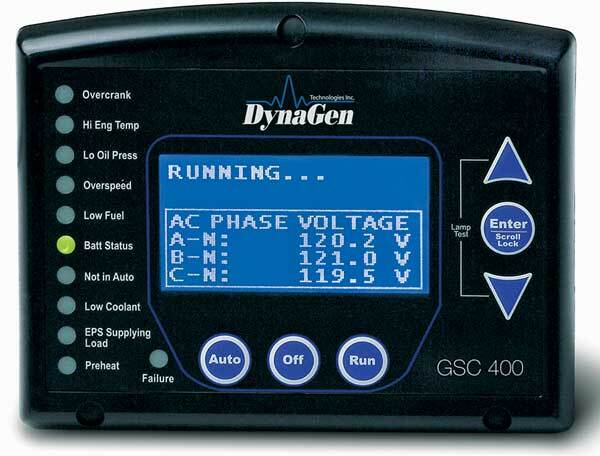 DynaGen makes the GSC400p which has can monitor oil pressure, engine temperature, frequency, engine RPM, hours, voltage and current. It can fault for any out of tolerance condition, as programmed by the user. I plan to install this in the original control box, leaving the original control circuit intact by using the remote start/stop connections. I keep the original remote/start/stop switch and hand crank switch in place for use if the fancy controller fails.